I’ve been playing around with the Amazon Echo (buy it today to save $50! ), and its ability to integrate into my Insteon-based home automation system. 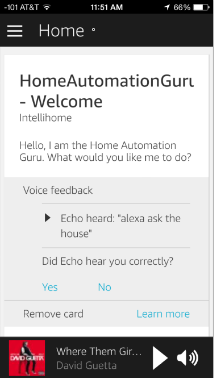 I’ve been using the Alexa Skills Kit integrated with my custom software IntelliHome, and it’s amazingly robust! Normally you interact with commands like “Alexa, play music”, but with the Skills Kit you can customize your own “skills”. In my case, the name of my skill is called “The House”, so I say something like “Alexa, ask The House to turn on the lamp”. What’s really cool is that unlike Siri on the iPhone, it’s got “conversational abilities” built in, so you can ask it something general and it will prompt you for more information. For example, you could say “Alexa, ask The House to turn on a light”, and get a prompt back that says “which light?”. 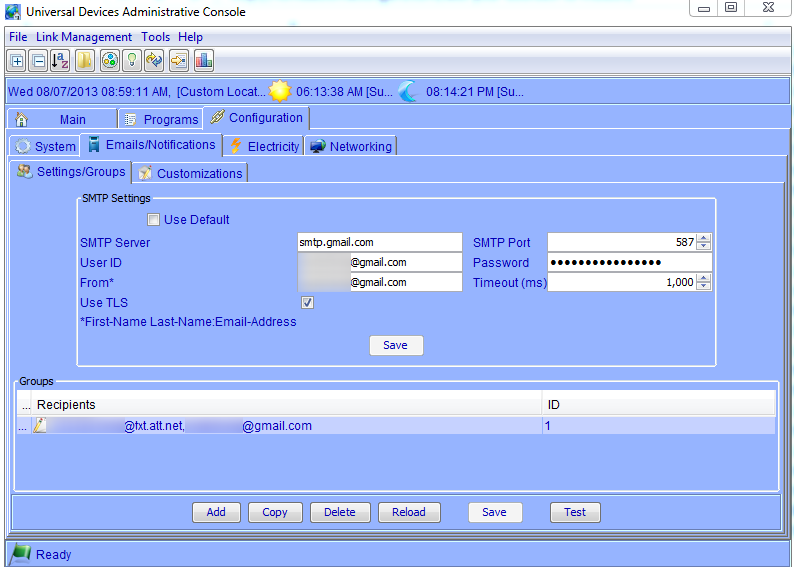 This feature alone makes it incredibly powerful for dialog in home control systems.